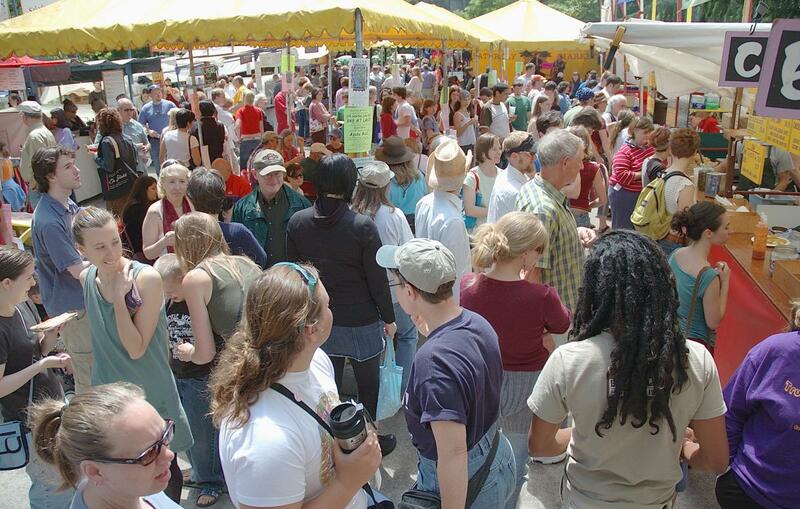 Spring means the beginning of the long and bountiful outdoor market season in Eugene. 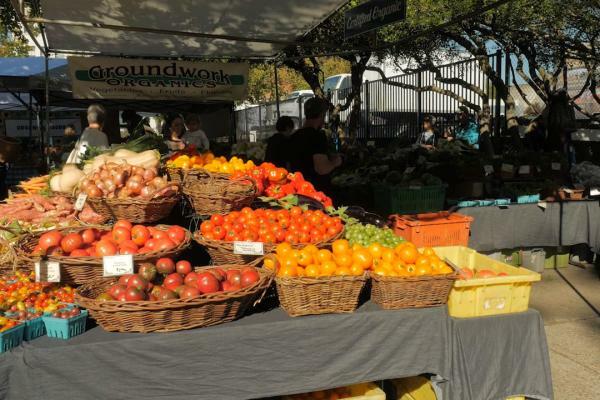 Farmers&apos; markets are a great place to shop for fresh veggies, fruit, eggs and grass-fed meats. 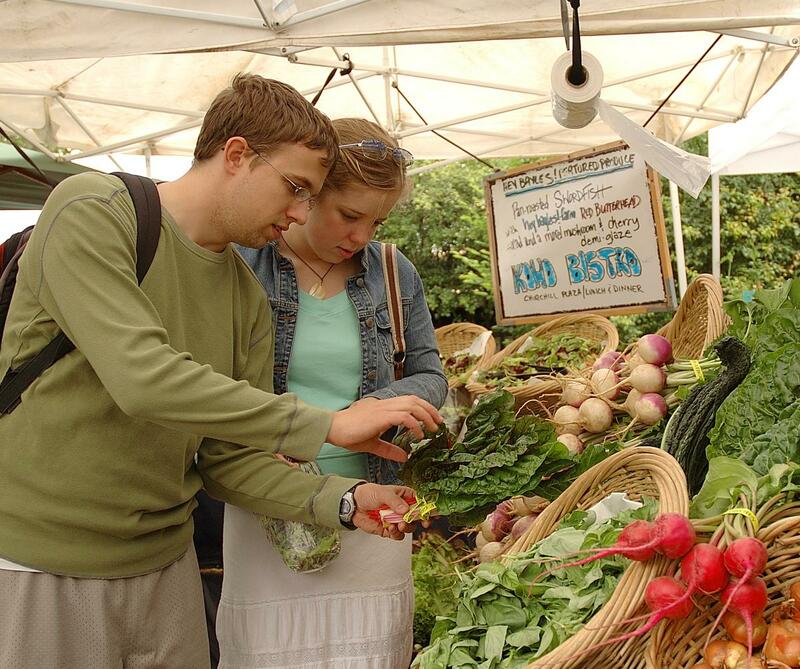 In the Eugene, Cascades & Coast region, weekly farmers&apos; markets are a staple in almost every community. Natural food stores display an array of local produce from regional farms. And during the summer, drive scenic back-country roads to shop farm stands or gather berries at u-pick farms. Explore our locovore culture for seasonal highlights and culinary celebrations. 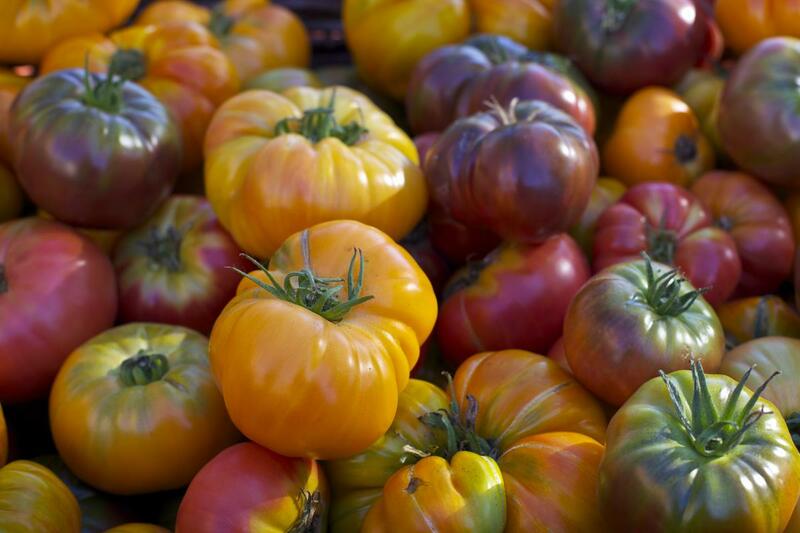 There are dozens of farmers markets and farm stands across the region, from the Oregon Coast to the Cascade Mountains. Here are some of the most popular markets to visit. Tuesdays, 10 a.m. - 3 p .m. Sundays, 11 a.m. - 5 p.m.
Thursday, Noon - 4 p.m.
Tuesday - Friday, noon - 6 p.m.
Wednesday, 3 - 7 p.m.
Saturdays, 1 - 4 p.m.
Tuesday, 4 - 6 p.m.
Sunday, noon - 3 p.m.
Saturday mornings in downtown Eugene bring a flurry of farmers setting up stands for the weekly Saturday Market. Folk music from the main stage drifts through the crowd of people waiting for lunch from one of the many food vendors. The beat of the drums in the plaza extends out into the streets and an overall hum of the market fills downtown. The corner of 8th and Oak buzzes with fresh cut flowers, tie-dye shirts, and an abundance of organic produce for Eugenians to buy. Wandering through the vendors you can find a variety of veggies, fresh baked bread, hand-made jewelry, clothing and even some Kombucha if you are feeling a little adventurous. When I was younger, I worked for a farm as a berry salesman and traveled the Portland Metro area trying to peddle my berries and other various fruits. I drove a rusty farm truck from the 70s with windows that didn’t roll down and brakes that pulled to the left. Every morning I would have to get up at 5, fill my truck with crates of fruit, and head on my way to the market of the day. Wandering around the Eugene market made me feel at home. All of the vendors were talking between the booths and were open to talk with people about almost anything. Walking around the market and buying some of the local products leaves you feeling like you made a small difference by helping small businesses make it in a community. If you wander off at the Eugene market, and head to the back, you’ll stumble upon the Organic Redneck truck from McKenzie River Farms. The vendor sells all of their produce off of the back of a truck, and for that reason, is unable to join the rest of the vendors on the sidewalks in the park. They are a hard to find truck, but it is definitely worth the search. I talked to Gretchen Fritsch, an employee for McKenzie River Farms, while she helped customers find the best produce she had. “They [the farm owners] wanted to distinguish themselves from everyone else, and the redneck thing is part of their lifestyle,” Fritsch explained. She says that Organic Redneck has been selling blueberries for the last twenty years, and has only recently expanded to veggies. I watched as families worked together in the Eugene market, and how small stands were just trying to get off the ground. The market is a place for people to share their passions with the community, and a place to make a living doing what they love. The Eugene Saturday market is great for getting fresh produce for the week, or to people watch. The weekly event breathes life into the downtown neighborhood and is something every Eugenian needs to experience at least once.